Conventional SATCOM technology comes with some drawbacks; satellites are expensive to manufacture and propelling these space crafts into orbit is also a very costly process. Once in orbit satellites can't be reclaimed for maintenance or any other technical or logistical requirements. 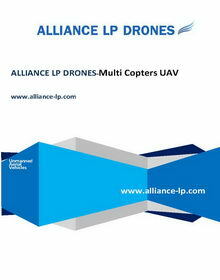 Alliance Lp Drones Ltd., has completed the design and system architecture for a new unmanned ATMOSAT aerial vehicle. This system is capable of replacing low orbit satellites at a fraction of the cost. Other significant advantages of this system will be that this UAS will remain near earth facilitating all technical, maintenance and logistic operations. 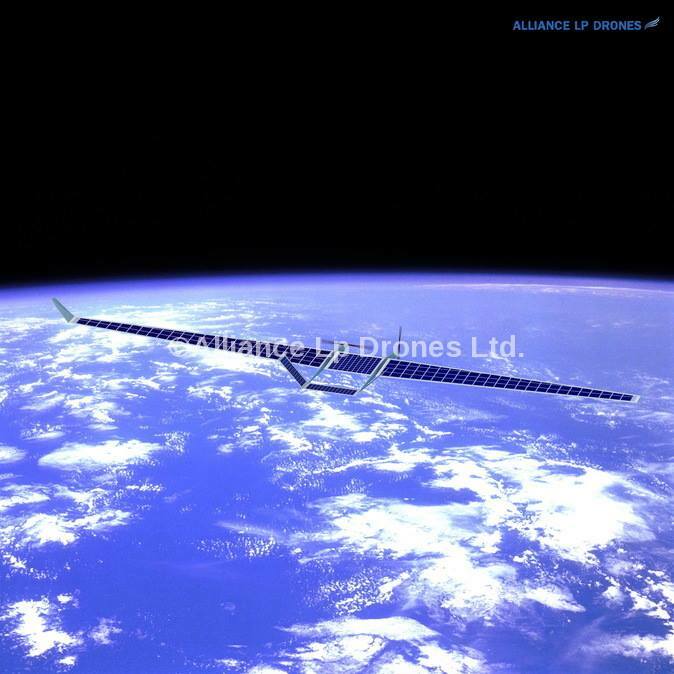 Our technology offers the capability of recalling Hermes ATMOSAT Unmanned Aerial System and land it within 2 hours instead of taking one year of preparation and send a manned mission to service a satellite. 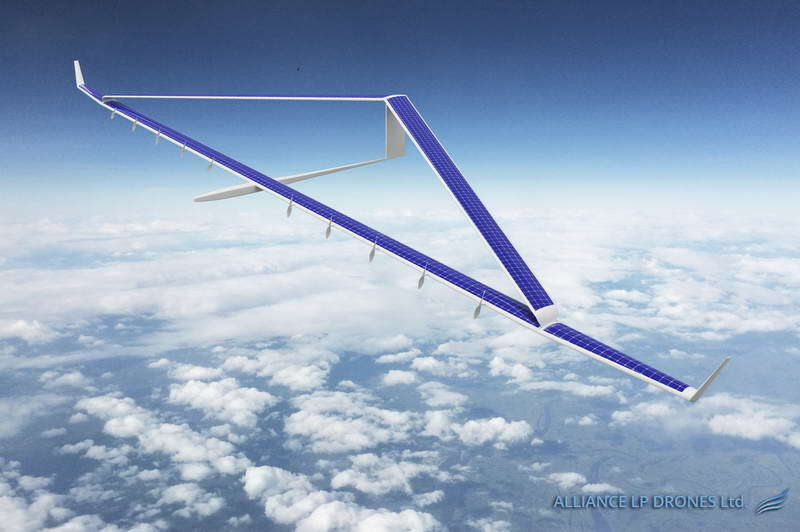 Hermes is also capable of flying as a conventional aircraft enabling this system to follow a geostationary flight path. ​Hermes UAV main applications include; communication relays, internet and cellular network, weather monitoring, border and perimeter security. 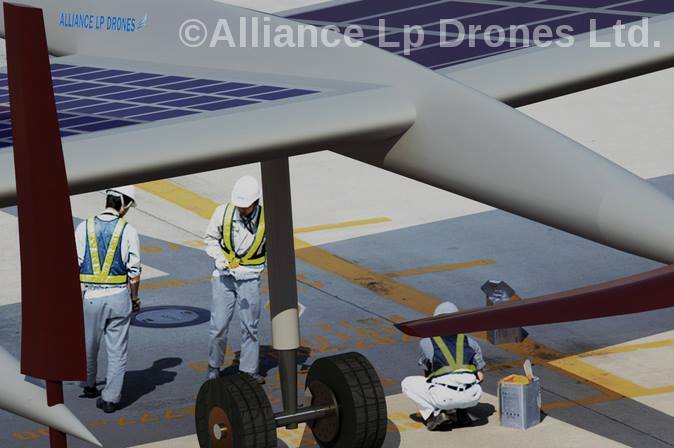 Our vision is to manufacture state of the art, and cost effective solar powered unmanned aerial platforms enabling the internet and communication age. 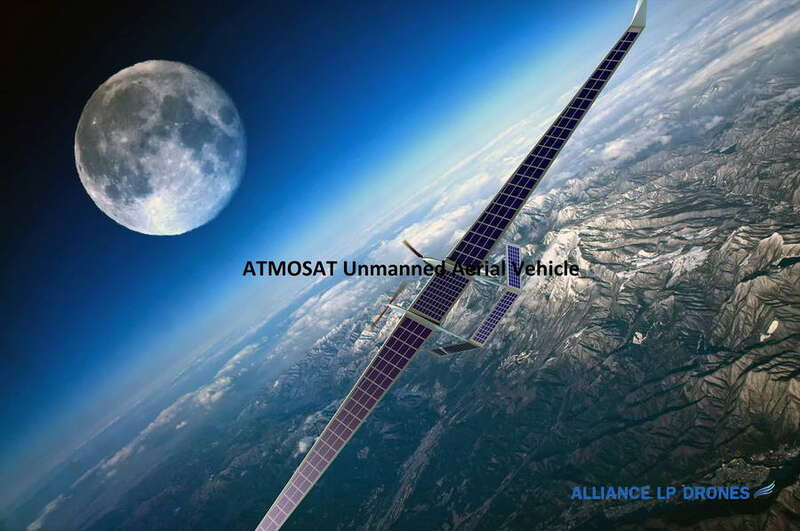 The main civil, commercial and defense applications for this specific platform will be; low orbit satellite communication relays, extreme endurance air operations, weather monitoring, persistent geostationary surveillance, and actionable intelligence. 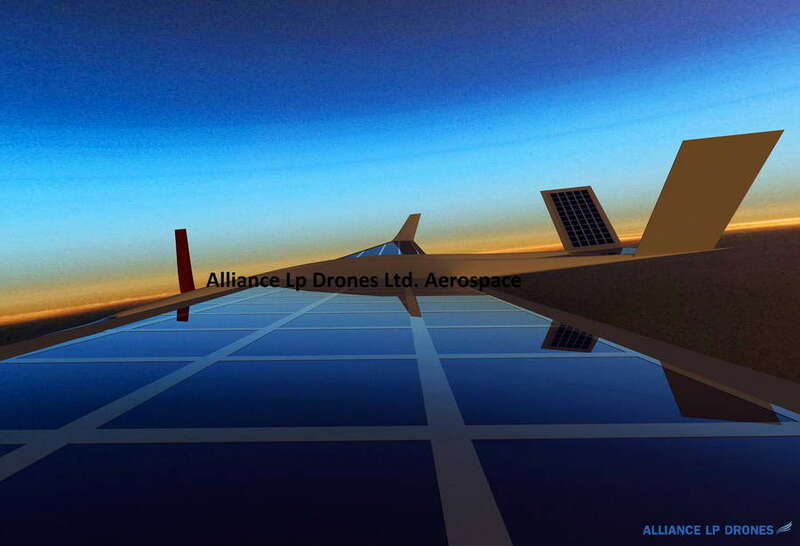 Alliance Lp Drones Ltd., Hermes ATMOSAT UAV will be capable of flying autonomously for extended periods of time. Our unmanned aerial systems will offer our clients; user friendly controls & system management, and significant cost reductions. 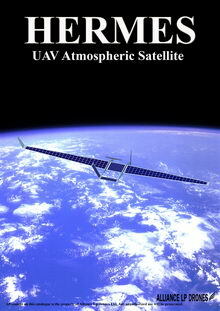 Our ATMOSAT UAVs will also increase the effectiveness of logistical, and operational management. 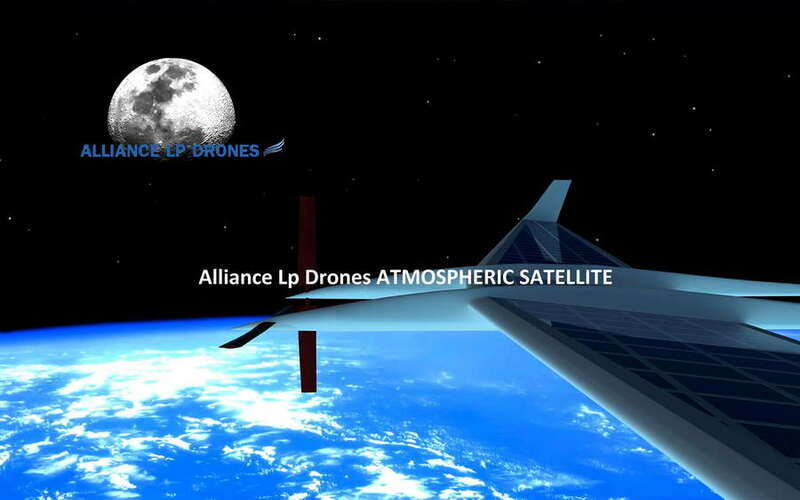 Alliance Lp Drones research and development team has completed the design & development, and tested some hardware parts of a new and very advanced atmospheric satellite system. We designed and developed Hermes by using our own proprietary and unique technologies such as; pioneering aerodynamic structure design, introduction of new materials (carbon fibers and resins) combinations delivering the same qualities of steel but as light as a piece of paper, we also developed new solar power super-efficient energy storage units. 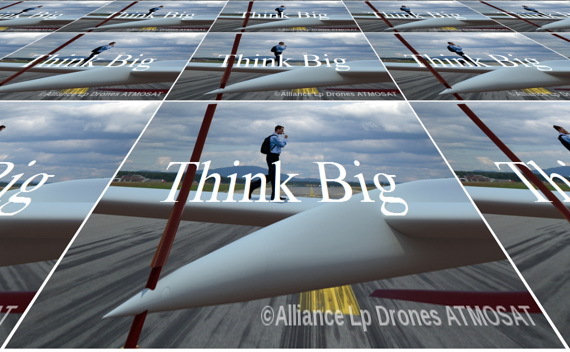 Alliance Lp Drones Ltd's aerospace engineers, production engineers and technological partners bring to the table a long and valuable experience working in the unmanned technology field. One of our lead engineers has more than 35 years experience with the design and production of unmanned aerial vehicles for both civil and defense applications.